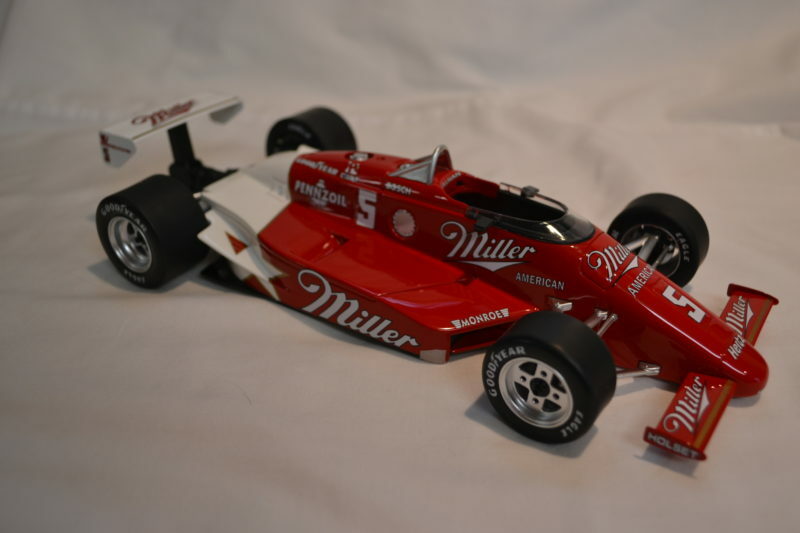 Replicarz has just released a 1/18 scale replica of the 1985 Danny Sullivan spin and Win March Indy car. This is a beautiful representation of the winning car with engine detail under the removable hood. This is another small run and will be a sure sell out. 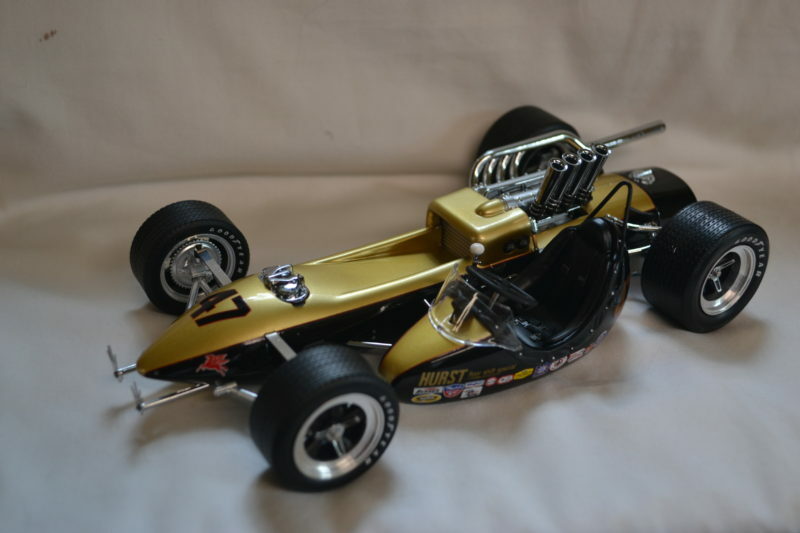 The Smokey Yunick side car was unsuccessful in qualifying for the 1964 Indy 500, but Replicarz has released a beautiful replica of this unusual car in 1/18 scale. With a very short production of only 400 these will not last long. 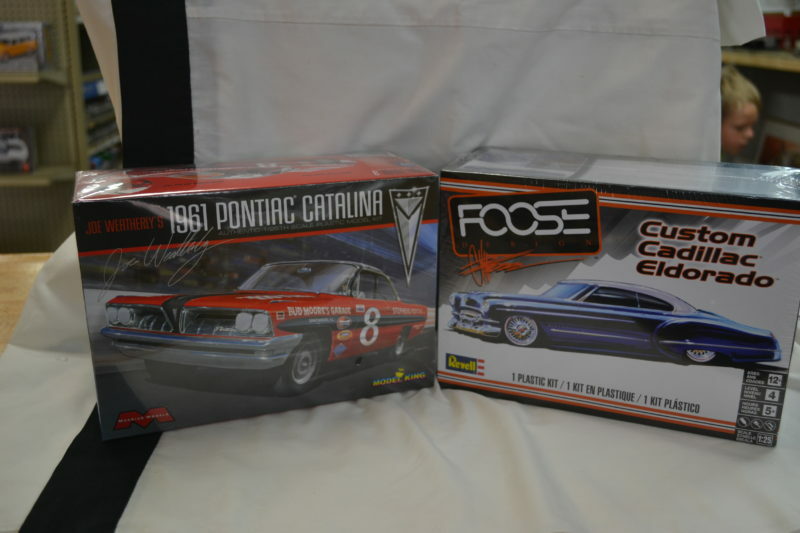 Moebius (Model King) has just released a limited edition 1961 Pontiac Catalina Joe Weatherly stock car and Revell has released another Foose creation based on the 1948 Cadillac Eldorado. 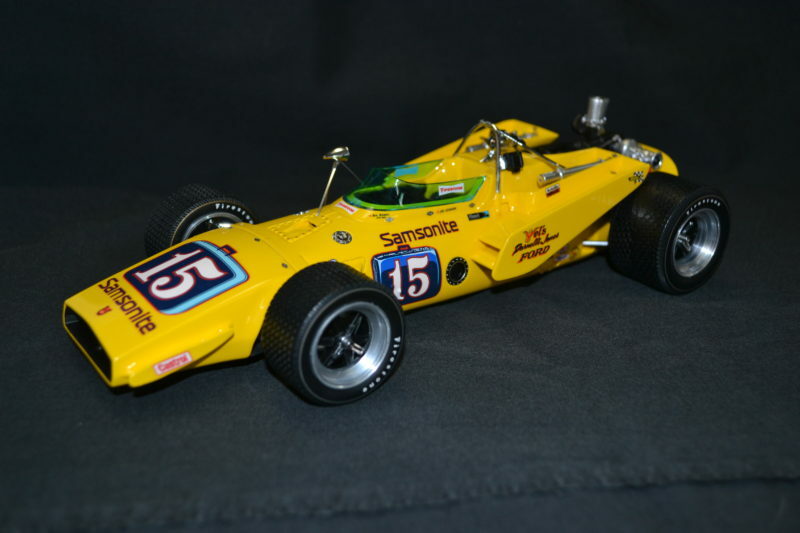 Replicarz has just released the Joe Leonard USAC Indy Car Champion winning car in 1/18 scale. 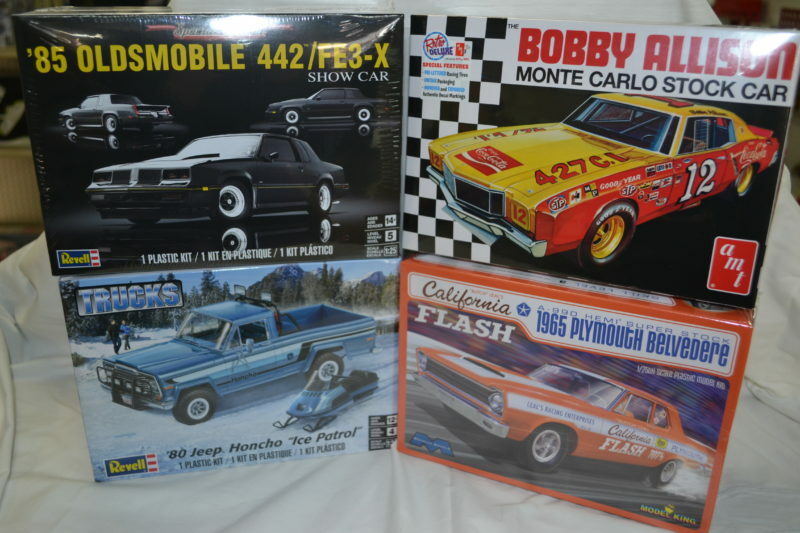 This is a beautiful recreation of the car Joe won the Championship in and at only 300 pieces total production they wont last long.